The posters hanging across downtown Bellingham, Washington, aren’t promoting the next Hollywood blockbuster or a pop star’s big album release; these banners are plugging science. 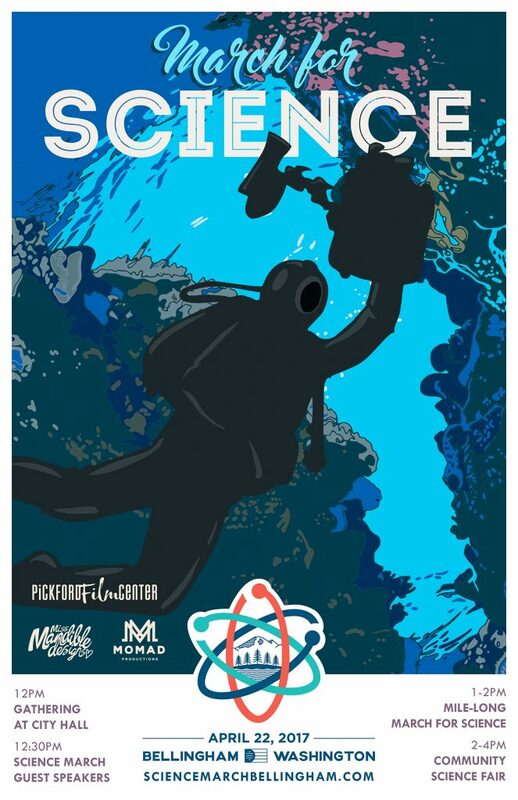 Mandy Kramer — also known as “Miss Mandible” — is a graphic designer in Bellingham, and as a science enthusiast, she was excited to donate her talents to her local March for Science by making a series of science-themed posters. 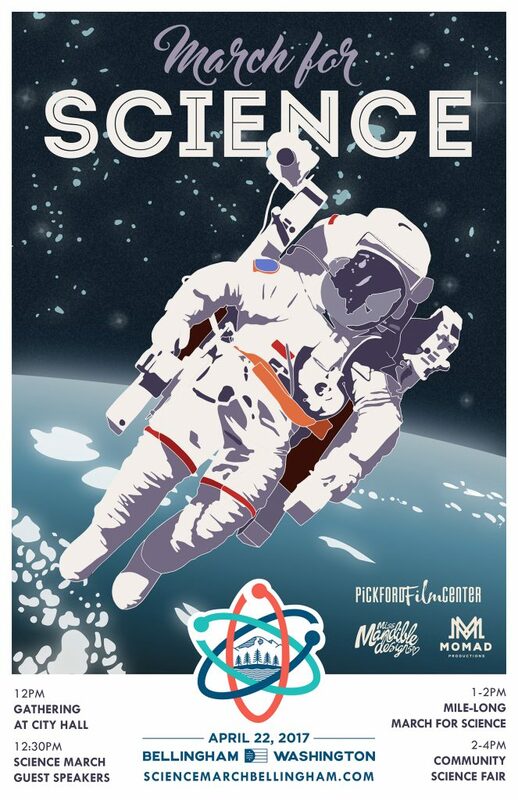 The March for Science is a national movement started as a response to the perceived restrictions to scientists’ ability to research and communicate their findings. Marches in hundreds of cities in the U.S. and abroad will take place on April 22. Kramer described the city of Bellingham as enthusiastic about science. But when you venture further out of the city, her sense is that science becomes less of a priority for the more conservative residents of her state. 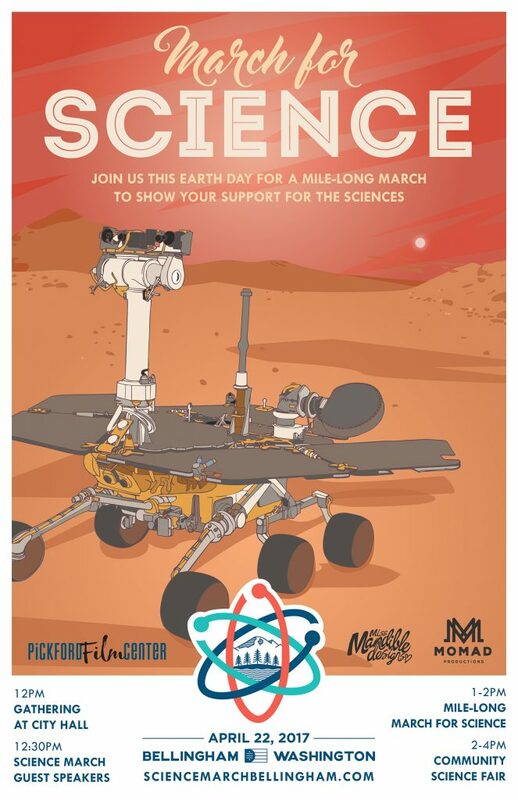 Scientists due to speak at Bellingham’s March for Science — retired astronaut Wendy Lawrence and physicist Melissa Rice, who worked on the Mars Rover — inspired two of Kramer’s posters. Kramer’s father, a marine biologist, infused a love for the ocean into Mandy as a child, which is why she included one underwater poster. Kramer supports the march even though people have voiced concerns over politicizing science. “I would say when we bring politics into science, unfortunately, the result isn’t always the best,” Kramer said. But she recognizes that science and politics are intertwined anyway, given how the two affected her father’s work. If he had been trying to get protections for a species, for example, in theory the bureaucratic process could have taken so long that the species might have gone extinct. 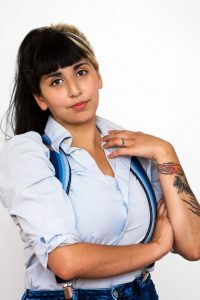 So Kramer, who says that she doesn’t have quite enough patience to be a scientist herself, is glad that she has an opportunity to donate her talents to the march.